i went to the beach this past weekend with my old man. i’ve got to hand it to him, he was the best dressed guy at the airport. i snapped this photo right after we went through security. 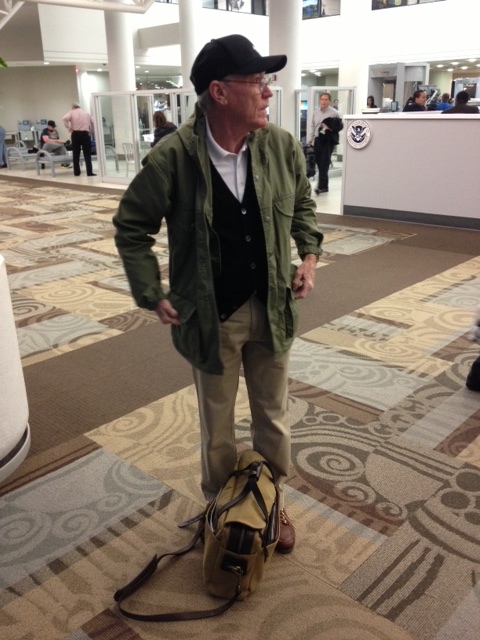 he was rocking polo khakis, bean bluchers, a fjallraven greenland jacket, and carrying a filson briefcase. bonus points for the scotty cameron scotty dog hat which he informed me was really hard to get. excellent work, dad.